The future of liberal Judaism depends on engaging interfaith families in Jewish life. Because we live in a celebrity-driven culture, the wedding of Chelsea Clinton and Marc Mezvinsky offers a rare opportunity to influence more interfaith couples to make Jewish choices. Yet instead our Jewish leaders’ responses seem almost calculated to push those couples away. After much speculation about which Jewish traditions, if any, might be included in the Clinton-Mezvinsky wedding, it was striking to see the first pictures emerge — the groom in a visible yarmulke with the Clintons, then the groom wearing a tallis, standing next to his lovely bride next to a visible ketubah — to say nothing of reports of a chuppah, the Seven Blessings and glass-breaking. Chelsea, Marc and the Clintons are very smart people. The only message they could have been sending is that Jewish traditions are very important to Marc, and that Chelsea and her parents are, at the very least, happy to allow Jewish traditions to play a prominent role in this most important moment in the couple’s lives. Yes, the wedding started shortly before the end of Shabbat, a not unheard of practice even when both the bride and groom are Jewish. How many of us abstain from all work until after sundown on Saturdays? Should a couple’s choice be rejected as “not Jewish” because they want to maximize the time they spend celebrating with family and friends? And yes, a rabbi co-officiated the ceremony with a Methodist minister. There is no “one size fits all” answer to who should perform weddings for interfaith couples. Chelsea and Marc were fortunate that a rabbi of the stature of James Ponet, who has had an outstanding career building the thriving Yale Hillel, was willing to co-officiate at their wedding. The heads of both the Reform and Reconstructionist rabbinical associations noted their movements’ official disapproval of co-officiation, with Rabbi Richard Hirsh, executive director of the Reconstructionist Rabbinical Association, telling The Jewish Week that “having a co-officiated ceremony points in the direction of a home that won’t be primarily Jewish.” But an interfaith couple may in fact have decided to raise their children as Jews, and still want the non-Jewish partner’s religious background represented at their wedding. Or the couple may not have decided — yet — to have a Jewish home, but be very open to the possibility. Criticism of their wedding choices is a sure way to influence them to not go in the Jewish direction. With half of Jews intermarrying, the size and vitality of the liberal Jewish community depends on how many interfaith couples raise their children as Jews: If half or more do, we grow; less than half means decline. An interfaith couple’s wedding is a great opportunity to show that Judaism has something that has meaning and value for them. Giving them a positive Jewish experience can only influence them toward more engagement in Jewish life. For now, I can only hope that Chelsea and Marc and the thousands of other couples like them will not be deterred by what our Jewish leaders are saying. There are other voices in the liberal Jewish community, and they need to be raised, with a clear and unequivocal message: We are so glad your Jewish wedding was such a positive experience for you. Judaism has much more of value and meaning that is available to you. Our part of the liberal Jewish community enthusiastically embraces you. Welcome! Edmund Case is CEO of Interfaithfamily.com. This story "Edmund Case: The Missing ‘Mazel Tov’" was written by Edmund Case. 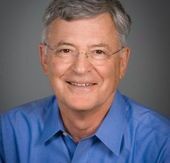 Edmund Case, the retired founder of InterfaithFamily, is the author of Radical Inclusion: Engaging Interfaith Families for a Thriving Jewish Future, to be published on January 15, 2019 by the new Center for Radically Inclusive Judaism.